For the most part, rinsing pasta is a sin in the kitchen. So is trying to clean up after me while I’m still cooking (coughMaxcough). The starchy water that pasta cooks in actually helps sauce stick to the pasta. That’s why you should always save the pasta water—you can actually make a base for a sauce with that starchy water. However, there are times when your pasta should get a good rinse. 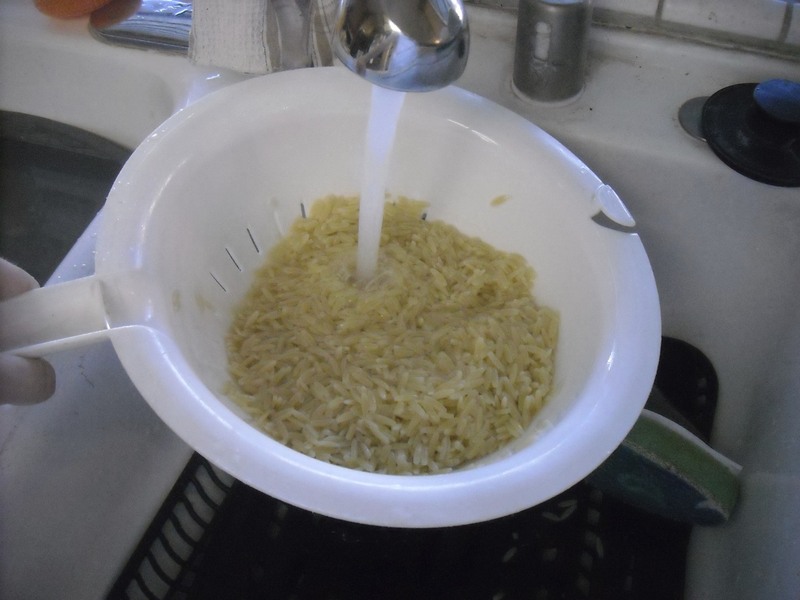 If you’re making a cold pasta salad, like yesterday’s Greek Orzo Salad, you should rinse the pasta with cold water. It gets rid of all the starchiness and makes for a tastier cold-pasta salad. Also, when you rinse it in cold water, it helps significantly cool down the pasta so you can make your cold-pasta salad faster.